Find Out all there is to know about the great Kubota Line. BX, B, L and M series Tractors from the company that makes the complete tractor, from frame to engine its all Kubota..
John Deere offers two series of compact tractors ranging from 20- to 48-hp. The 90 Series is designed for customers who need the size and power of a compact utility tractor but are valued-oriented and price-conscious. The 4000 Series is the most advanced of its kind. All feature Deere's legendary attachment ease. With tractors from 18 to 45 hp Boomer compact tractors are built from the ground up to blast through any job. Assembled at the New Holland plant in Dublin, Georgia, Boomer applies the best in big-tractor thinking to a compact for the farm, the estate or the job site. Got lots of grass to cut, tired of walking. A riding mower or small Garden Tractor may be just right for you. 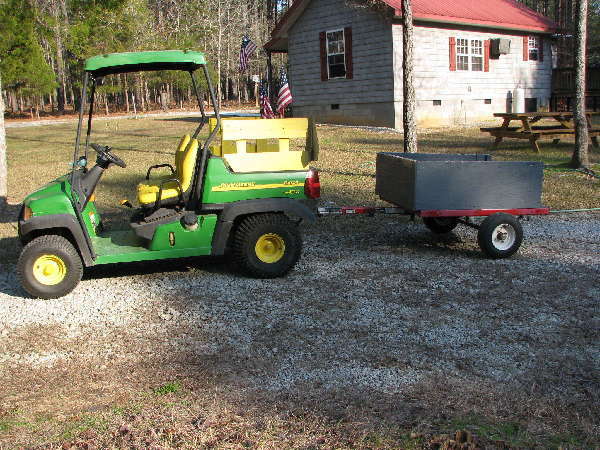 Landscape contractors love their Mules and Gators, how are you using yours. Got an ATV? Using it for hunting, mowing the lawn? Tells us how you like it. Get info on prices and performance. Looking for a new car, find out what other members are buying? Ask our members about the vehicles you like. Got a car problem lets talk about it, maybe another member had the same issue and was able to resolve it. Building a house is a large undertaking and even bigger when you are doing some or all of it yourself. We have topics that cover the entire process from picking out the property to moving in. And that Tractor can be a big helper during the entire project. What kind of grass should I seed? What type of seeder aerator should use? What plants are best ? Irrigation? Lighting? Stop here! Discuss how to get healthy and stay fit. Review News, Entertainment, Sports,Computers, Education have a chat with friends.